Jakobi will head the new satellite program, which will be tasked with improving participation of women and other underrepresented groups in the fields of Science, Technology, Engineering and Math (STEM) in the Okanagan. WWEST is the operating name for the 2015-2020 Natural Sciences and Engineering Research Council (NSERC) Chair for Women in Science and Engineering (CWSE), British Columbia (BC) and Yukon Region, based at Simon Fraser University and currently held by Lesley Shannon. 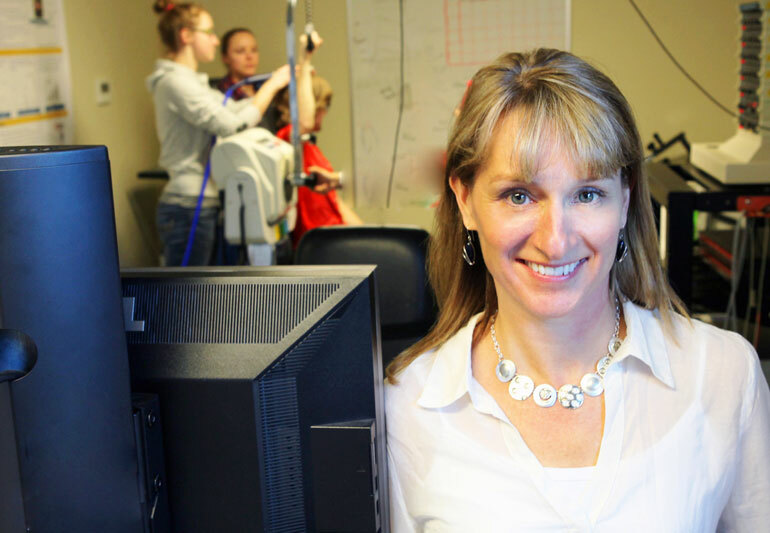 Jakobi, a professor of neuromuscular and exercise physiology, says that her role will be to further WWEST’s mission to promote awareness and engage students, industry, and the wider community in understanding the value of diversity in the STEM fields. According to Statistics Canada, in 2011, 66 per cent of university graduates aged 25-34 from non-STEM programs were women; this dropped to 39 per cent for STEM degrees. While it may be tempting to jump right in with solutions, Jakobi says her first priority is to listen and engage with the community. WWEST created the Associate Chairs program to expand its impact beyond lower mainland BC. Up to three satellite programs will be established at NSERC-eligible institutions in BC and Yukon. The associate chair is a one-year term with an option for renewal. Shannon hopes this new role will be a hub for the promotion of diversity in STEM throughout the region and sees Jakobi being strongly connected to the other WWEST Associate Chairs. WWEST (wwest.ca) is the operating name for one of the five NSERC Chairs for Women in Science and Engineering (CWSE) across Canada, and a member of the CWSE National Network. The Natural Sciences and Engineering Research Council (NSERC) Chair for Women in Science and Engineering Program (CWSE) was launched in 1996. The goal of the program is to increase the participation of women in science and engineering and to provide role models for women active in, and considering, careers in these fields. Each of the five NSERC Chairs for Women in Science and Engineering (CWSE) program is regional, with one Chair for each of the Atlantic, Quebec, Ontario, Prairie and British Columbia/Yukon regions.